Haway Lads! Zero Hours and Minimum Wage. Best I can do. Don't be giving Daniel ideas Man. Getting nose-bleeds now aren't we as Spurs continue to defy gravity, the pundits, even some of our supporters and soar into the dizzy heights of second place no matter how temporary it proved to be. 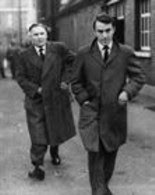 The recent fixtures have been kind, agreed, and things will get tougher later this month no doubt but in the spirit of young Winks: 'Bring it on'. At last I understand what 'Audere es facere' actually means. Although it's times like these that bring to mind the Doctor's advice I once received that in view of my age and state of health Spurs were not the ideal team for me to support: much too much excitement, hope and disappointment. He suggested a well run team that these days don't threaten to promise great things like Derby or Nottingham Forest. Derby did get promotion to the Premiership but went straight down again. I'll bear it in mind Doc. Our third late victory in a row over a limited, well organised resolute Newcastle side. It took a goal-keeping error by Duprovka from Son but Lamela and Eriksen come close three times before that and Moura and Llorente both missed good headed chances. We have already scored more headed goals than any other team but unfortunately we were unable to add to our tally. Son however made it nine goals in his last ten appearances as he once again stepped up to minimize the impact of Harry Kane's absence. Another occasion when we needed to win to maintain our challenge to the top two and once again we did the business without flinching. Rondon hit the post with a header but was well marshaled overall by Sanchez. Curiously we put plenty of crosses in when Moura was leading the line and not so many when Llorente was on. But they both missed anyway. Moura is better on the wing where he has space to run into. The other Harry once again made his mark in another energetic and effective display. But this was a determined team performance with everyone except Lucas Moura playing well. Llorente assisted again by laying off to Son for the goal. Mike Ashley was there taking time off from buying up what remains of the High Street to judge the lack of progress of one of his previous purchases. 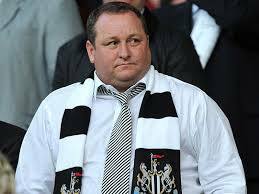 It is not true that the Newcastle players are on minimum wages and zero hours contracts. Jan was a revelation as a virtual left winger and despite his lack of pace beat his fullback and put in several crosses that on another day might have led to goals. Sissoko playing to orders filled in the gaps, Toby led the charges out from the back, Eriksen was increasingly influential as the game went on twice denied by goal-line saves by out-field players. Mauricio is not ruling out a continuing challenge for the title, so why would I? Neither Liverpool or City are nailed on in my view. We are 5 points off the top; 2 points off second and seven clear of Chelsea. And, not that it matters, 10 points ahead of Arsenal. If Guardiola thinks that there is plenty of time for City to overhaul Liverpool then that must put us in with considerably more than half a chance. The same amount of chance that City give or take a couple of points. ''And now they can feel the hot breath of the challengers on their necks''. Commentator after the failure of Liverpool to get 3 points against W.Ham on Monday night. That's us folks. In fact Liverpool bore no resemblance to a team worthy of winning the Premiership and on clear cut chances W.Ham should have won it. Signings. That ship hit the iceberg days ago. Stadium. Rumors now homing in on the Brighton game on 6th April. Harry Kane/ Dele Alli Return. Both sooner than expected which is good news for the London Derbies and possibly BVB. No. Why? Never: Mauricio telling it like it is. Did I hear someone say "Trukke trukke"? BTW Great comments yet again Jimmy. Facts, but always presented in a way to make us smile, and even laugh. Keep doing what you're doing. I said a few weeks back that I like Llorente, Jimmy, despite all evidence, and I'm enjoying his mini renaissance. Watching different players fluctuate in form over a long season is also fascinating... the burst and fade from Lamela, the seemingly steady decline of Dier, the mercurial form of our right backs, the rebirth of Rose, the frailty of Hugo. Through it all Toby and Jan have been metronomic in their professional excellence, and Son remarkable. Loving the season. And the importance of Harry Winks is especially pleasing to me. Another Harry and another one of our own. What's not to love LBB? Great to watch and follow to be sure. Tottenham Fans Can Relax, It's Only Temporary. The Good; the Bad and the Ugly.